Something about watching a bunch of celebrities who have little to no dancing chops getting their salsa on is pretty inspiring. Because if your favorite on-screen faces can get out of their comfort zone in front of America, you can certainly find the courage to sign up for that boutique dance-cardio class, right? Especially when that familiar face tangoing to oblivion is Harry Potter sweetheart Luna Lovegood. 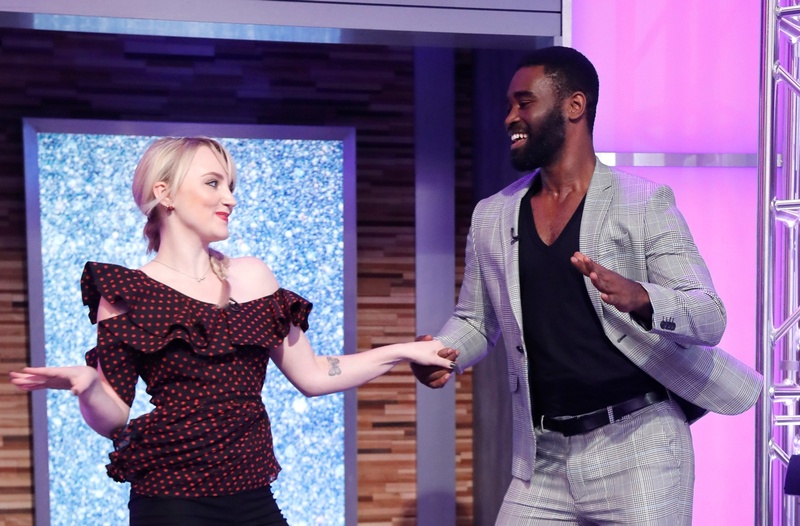 It’s just been announced that actress turned vegan activist Evanna Lynch—who plays the the adorably quirky and lovable Hogwarts witch you can’t help but want to be besties with—will officially be dancing her heart out in the upcoming season of Dancing with the Stars with Latin dancing and ballroom extraordinaire Keo Motsepe. While she undoubtedly has some serious competition—including singer Tinashe and “Grocery Store” Joe Amabile from The Bachelorette—one thing her rivals don’t have? The skills of the Lovegoods: Just look at Luna and her pops tearing it up at Bill Weasley’s wedding. Basically, this news is all the inspiration you need to get your dance on, too—even if that just means spinning in a circle fluttering your arms around, Luna-style. Cardio is cardio, right? Here’s how to dance your way to a Julianne Hough-level core. Or take a look at Jenna Dewan’s new line with Danskin.